Curt Gardner is in charge of this place, a home for thoughts & imagination; a perpetual work in progress. My recent blogging efforts have focused on Mind in Mind which is about neuroscience and scientific understanding of the mind (which is hosted by, but not the same as, the brain). Perival elsewhere on the web. I don't tweet too much, but I'm increasingly seeing the power of the platform for instant news. 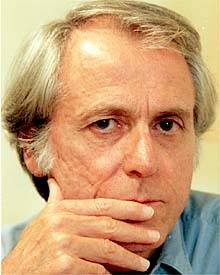 Perival is the home of Don DeLillo's America, a website devoted to the American author which was created in 1996 and has become a vast web of the trivial and sublime. 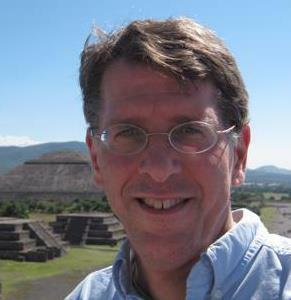 In April 2004 I started a blog called Mediated, which I invite you to visit. It concentrates on short reviews of books I've read, music I've heard, films & art I've seen, and more. I'm afraid it kind of fell by the wayside once I joined Facebook. A kind of aborted work here is called the Neon Wilderness, which has something to do with Nelson Algren and the garish paperbacks in which his best work appeared. Things are looking up! 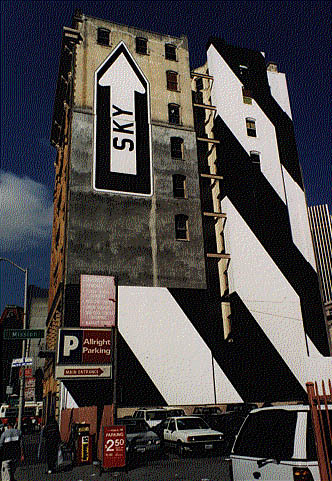 (Above is a building at the corner of Third & Mission in SF, now engulfed by a new building with luxury condos & hotel).